... to brush up on your knowledge and skills? 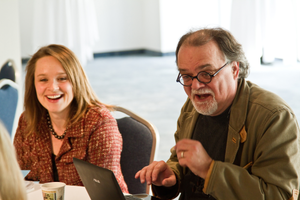 THIS IS AN MCF MEMBER-ONLY PROGRAM Description: At the April meeting of ... expert and to discuss and share how you are thinking about evaluation in your foundation. ... tool for expanding your impact. Join us for a webinar with MCF’s director of public policy and communications, Bob Tracy . ... peers to understand this changing context of our field.